Walkability measures how a community encourages walking, biking, and other active means of transport, as opposed to driving. With its urban sprawl and heavily-trafficked streets, Metro Atlanta has a low walkability score of 49 out of 100 as measured by online authority WalkScore.com. But the good news is, the metro is home to neighborhoods with high individual walkability scores. 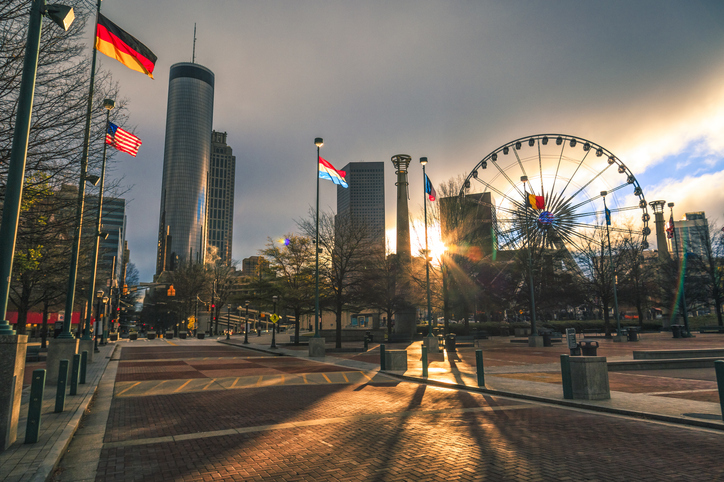 Located just minutes from bustling downtown, these neighborhoods have helped Atlanta rank 4th among the most walkable cities with similar populations. Located in the prestigious Buckhead district, Buckhead Village scores 91 for walkability and is ranked the third most walkable neighborhood in Atlanta. The community features more than 140 restaurants, coffee shops, and bars, and residents can walk to an average of 25 dining places in five minutes. A network of bike lanes make cycling a convenient transport option, and two bus lines pass through the area. The neighborhood features exceptional upscale shops, as well as local businesses where you can get gifts, books, artworks, and other products and services. With a walkability score of 88, Midtown is the 6th most walkable neighborhood in Atlanta. It’s home to around 370 restaurants, bars, and cafés, and residents can walk to an average of 22 within five minutes. Six bus lines ply the area, making public transport highly accessible, and numerous bike lanes are found in the neighborhood. Midtown features over 300 acres of parks and open space, as well as a wide collection of upscale shops. Virginia Highland has a walkability score of 76 and is ranked the 9th most walkable neighborhood in Atlanta. With around 146 restaurants, bars, and coffee shops, residents can walk to an average of 6 establishments in five minutes. Virginia Highland provides access to the Virginia-Highland Beltline, which features a network of parks, multi-use trails, and a 22-mile railroad corridor that connects the neighborhood to other destinations in the area. Virginia Highland is also popular for its eclectic shopping, with four distinct commercial districts connected by short residential blocks. Four bus lines pass through the neighborhood, taking residents all around the city. Located in the heart of the Buckhead district, Buckhead Forest is the 22nd most walkable community in Atlanta with a walkability score of 74. There are around 172 restaurants, bars, and cafés in the neighborhood, and residents can walk to an average of seven in just five minutes. With Buckhead Forest’s central location, many of the Buckhead district’s famous shopping and commercial destinations can be accessed on foot. The Buckhead Area Transportation Management Association and the Atlanta Bicycle Campaign offer cycling lessons at discounted rates to Buckhead residents. An extensive bike lane network is currently being developed. Want to learn more about the most walkable communities in Atlanta? We’ll be happy to help. Get in touch with SET Realty Group here or call us at 404-348-2373.